Indian Prime Minister Narendra Modi remains popular but faces a challenge at the polls. INDIA: Prime Minister Narendra Modi launched an early-morning Twitter blitz on Wednesday calling directly on Bollywood and sports stars and others to urge Indians to vote in the country’s upcoming mammoth elections. In 29 rapid-fire tweets, Modi tagged cricketers Virat Kohli, Mahendra Singh Dhoni and Bollywood actors Ranveer Singh and Vicky Kaushal, asking them to inspire others to exercise their franchise in the world’s largest democracy. “Dear @msdhoni, @imVkohli and @ImRo45. You are always setting outstanding records on the cricketing field but this time, do inspire the (1.3 billion) people of India to set a new record of high voter turnout in the upcoming elections,” one message ran. 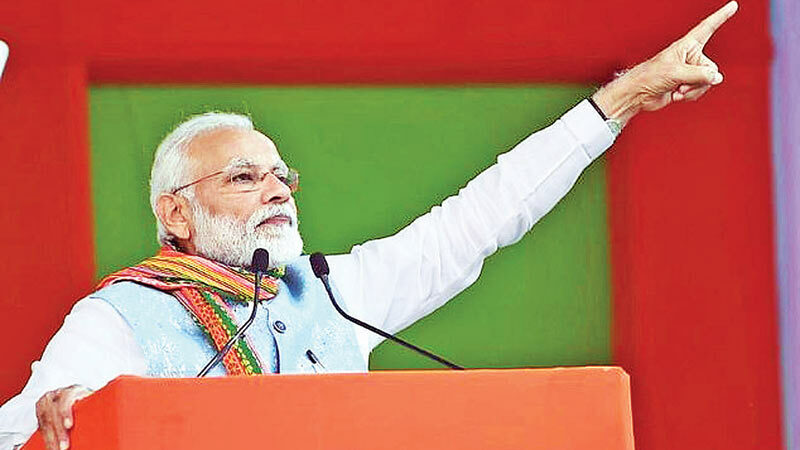 “When this happens, democracy will be the winner!” Modi, 68, swept his right-wing Hindu nationalist Bharatiya Janata Party to power in 2014, forming the country’s first majority government in almost three decades. But despite remaining popular, he faces a challenge to repeat the feat when India’s 900 million voters cast ballots between April 11 and May 19. The opposition says Modi’s flagship policies have failed to produce promised jobs, while thousands of debt-ridden farmers have committed suicide in recent years. His party however seems to have gained ground after India launched air strikes on Pakistan last month in response to a suicide bombing that killed 40 Indian troops in Kashmir. Modi, who has a massive 46.3 million followers on Twitter, also reached out to his political rivals, including Rahul Gandhi who heads the centre-left Congress party.